If you find a cheaper like-for-like package we'll beat the price - read more. 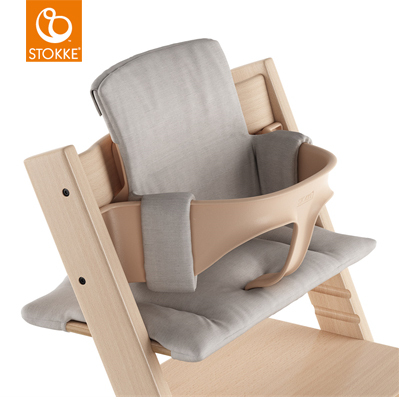 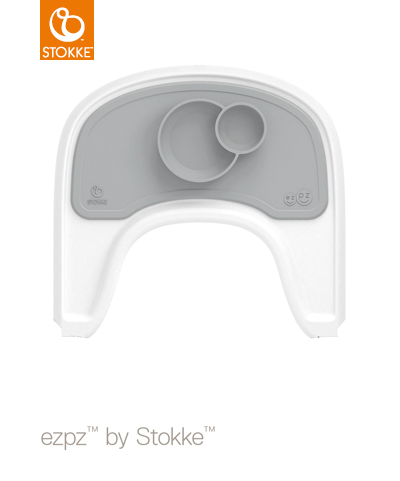 We've sold 100,000 Stokke Chairs and counting. 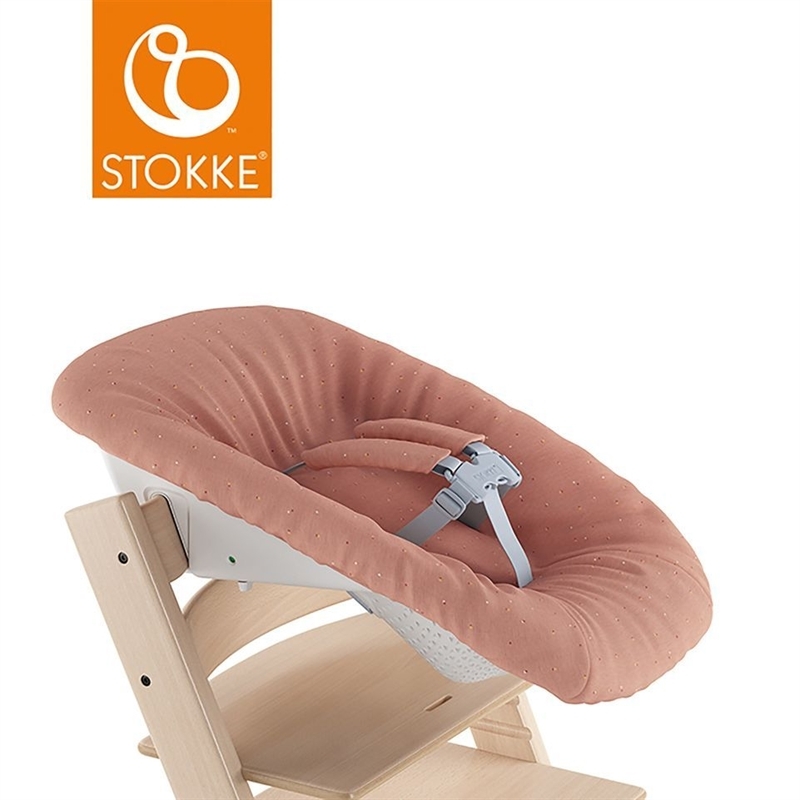 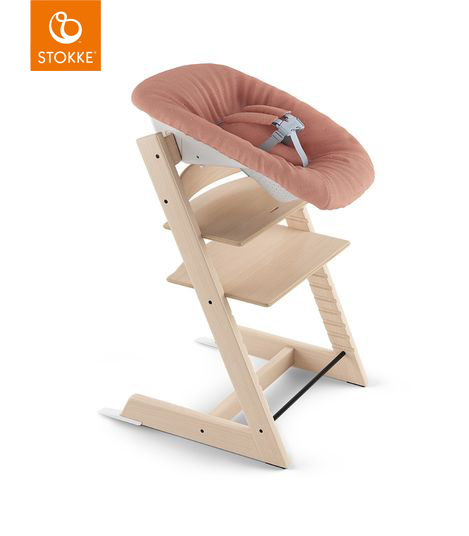 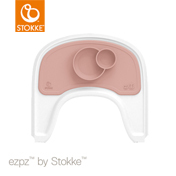 Buy from the Stokke Experts. 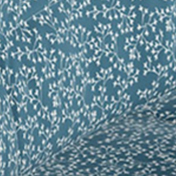 Internet prices with high street peace of mind. 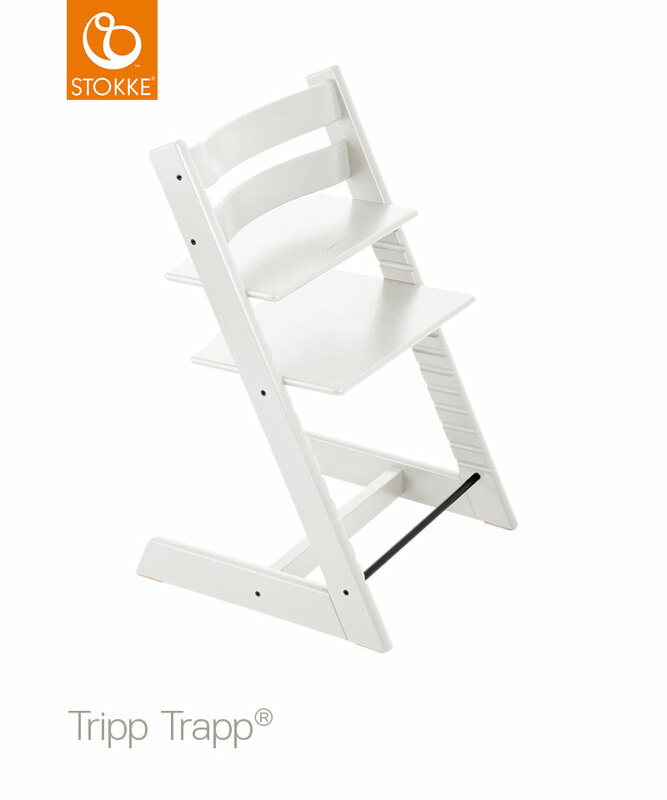 Thank you for completing the Tripp Trapp Training! If you require further Tripp Trapps, you can now just add to basket. 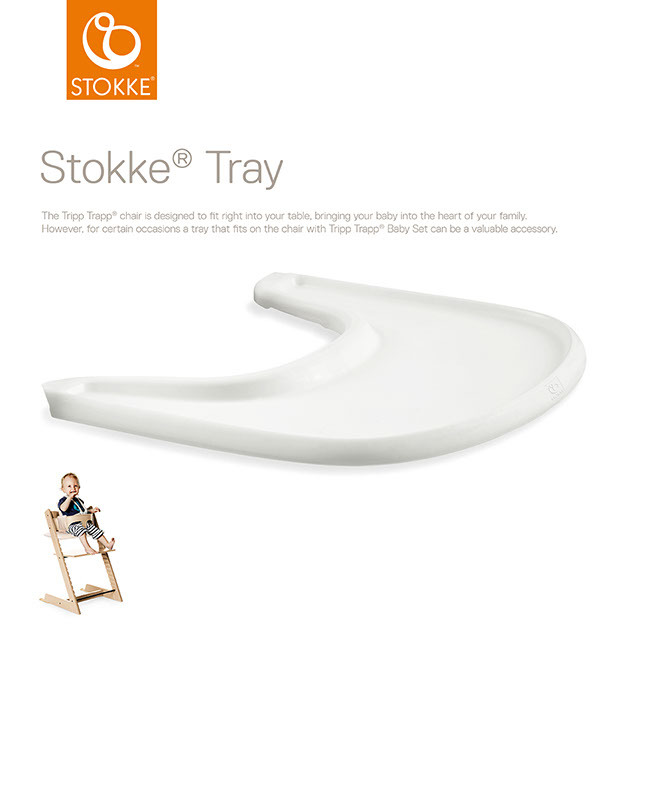 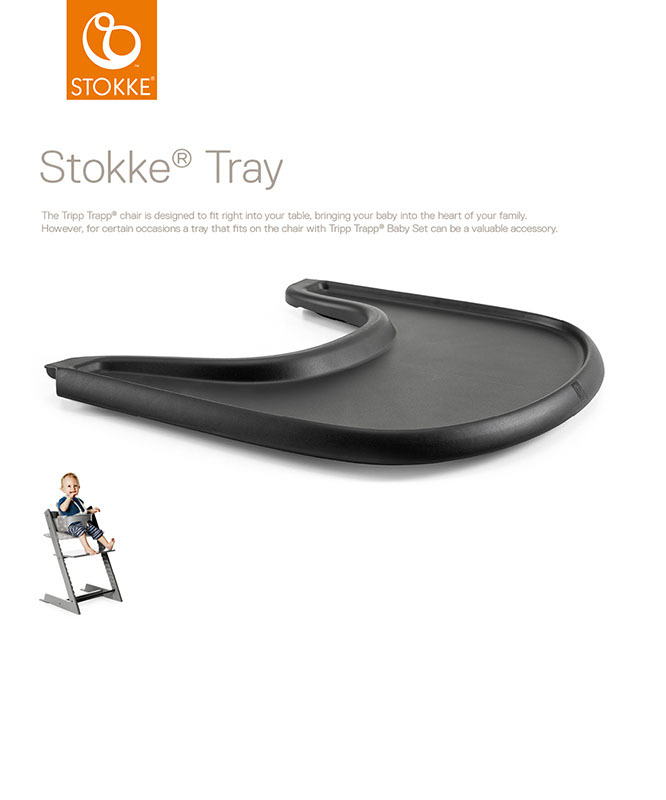 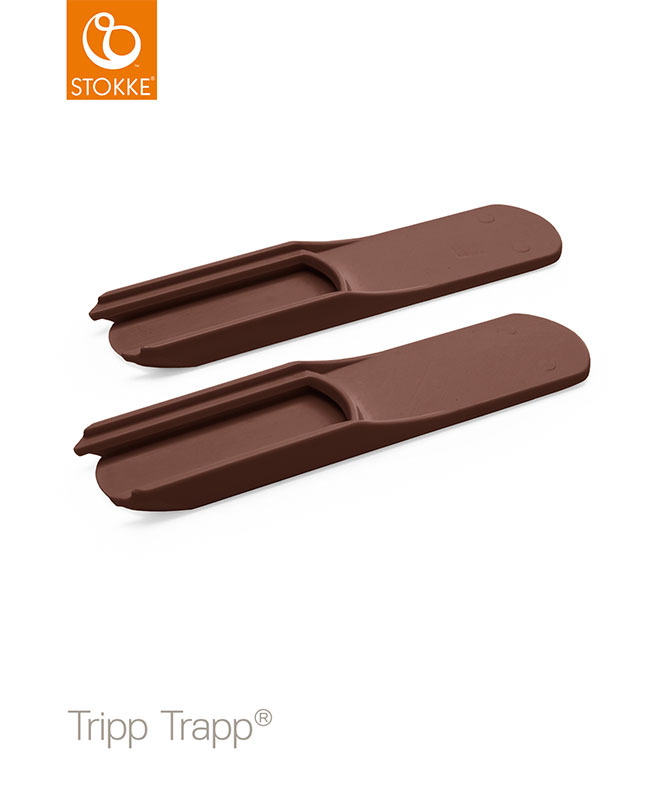 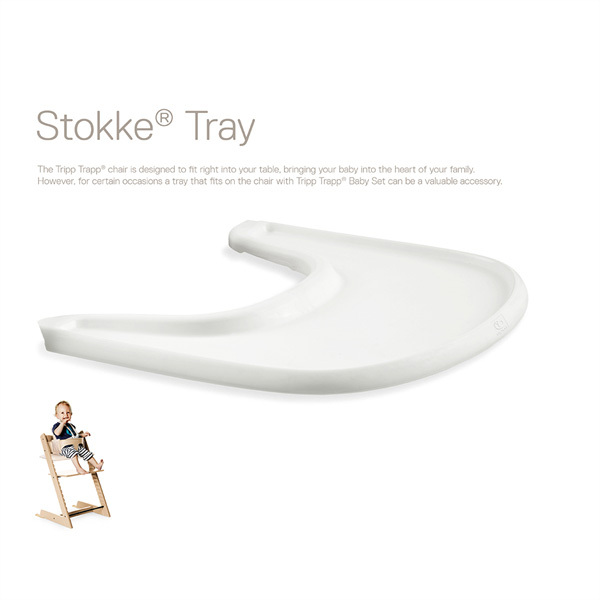 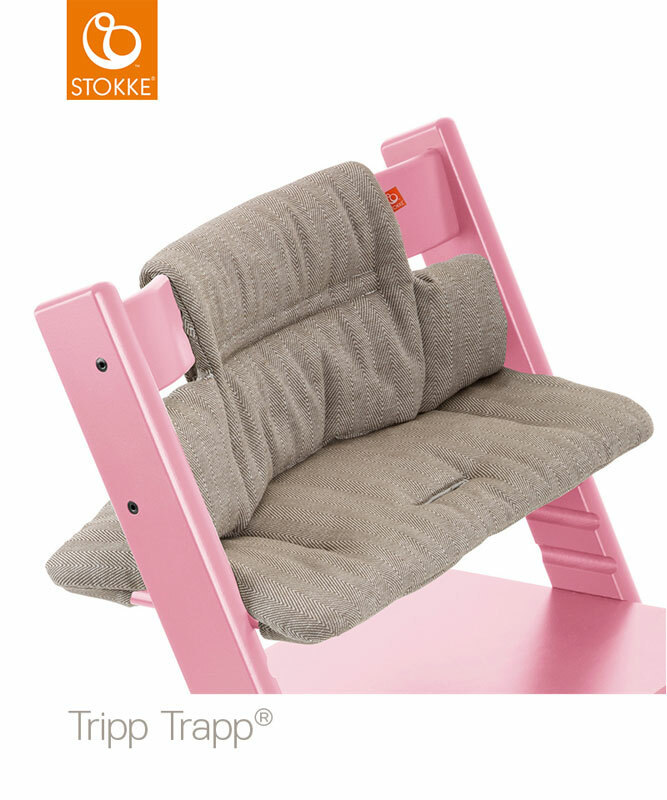 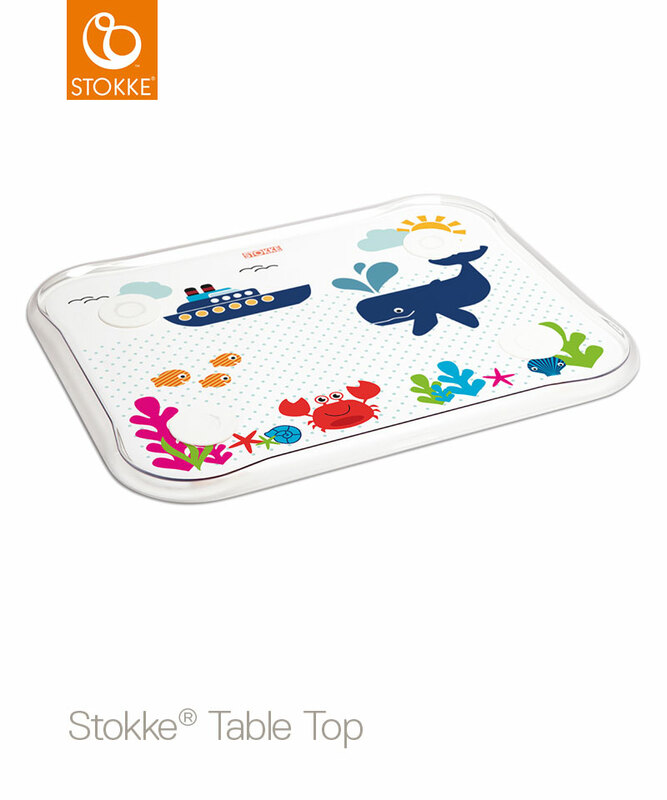 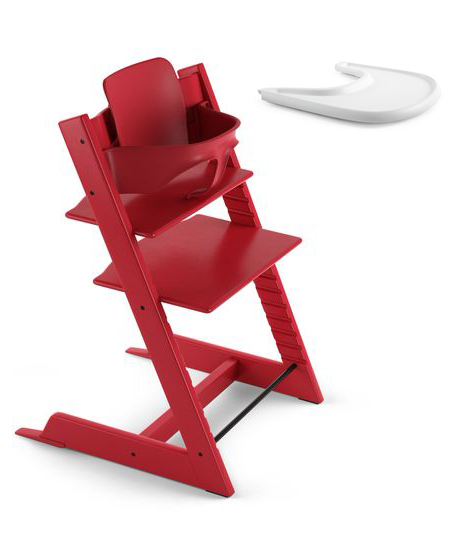 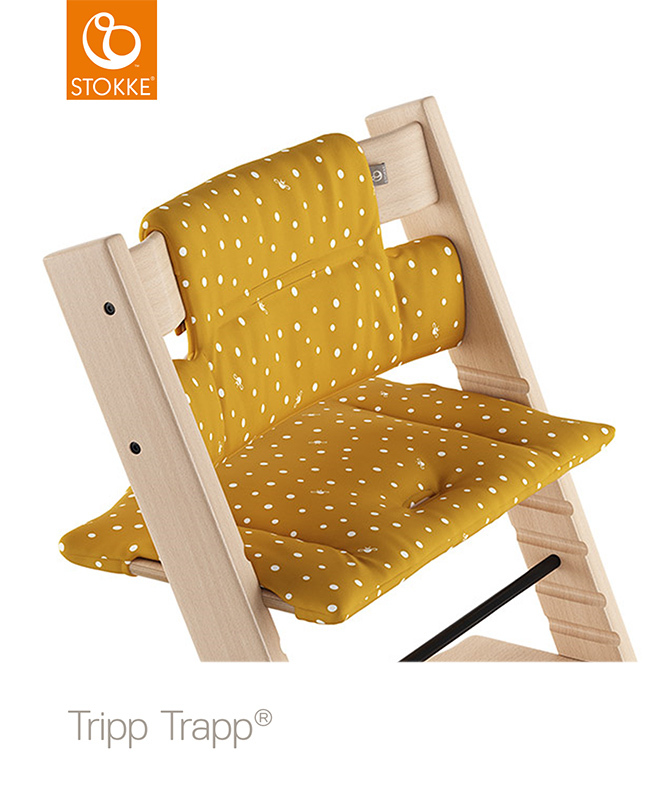 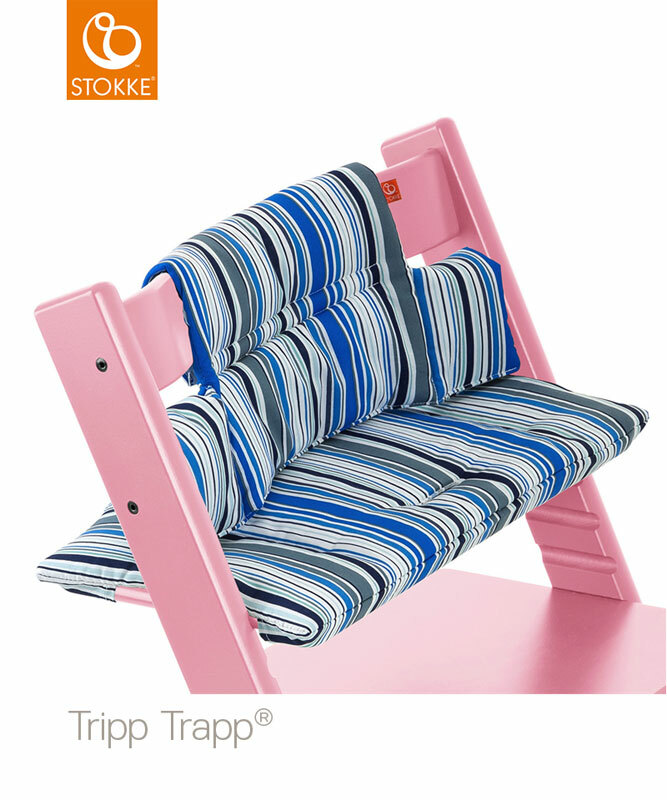 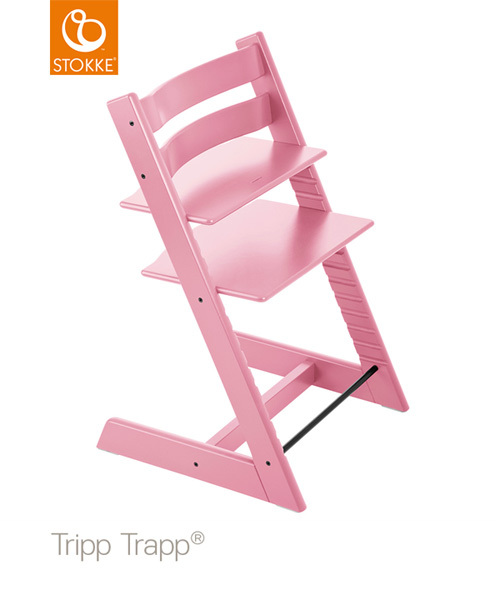 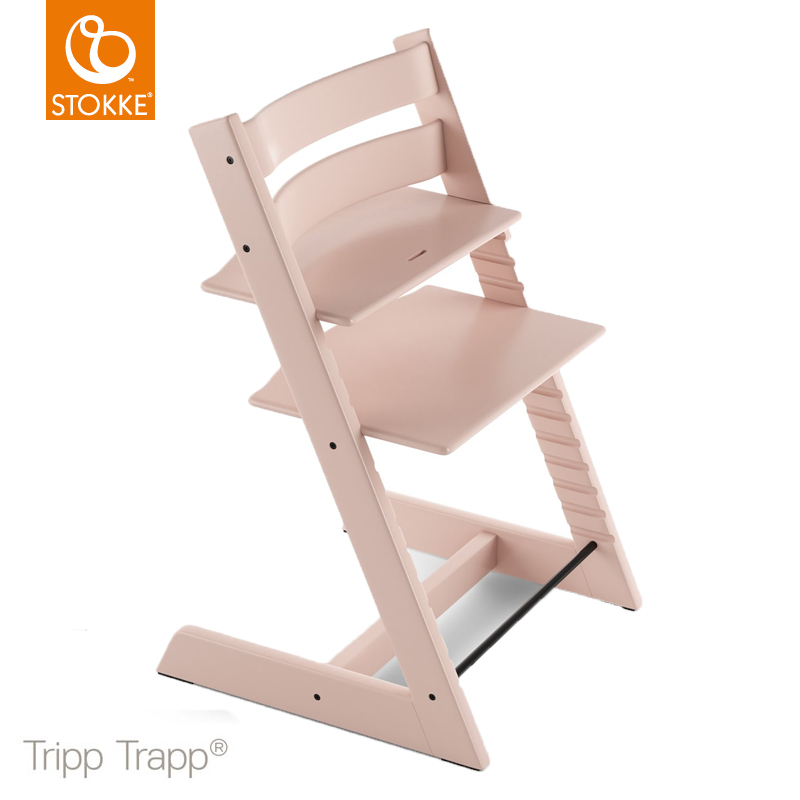 Free Stokke tray with every Tripp Trapp and Babyset. 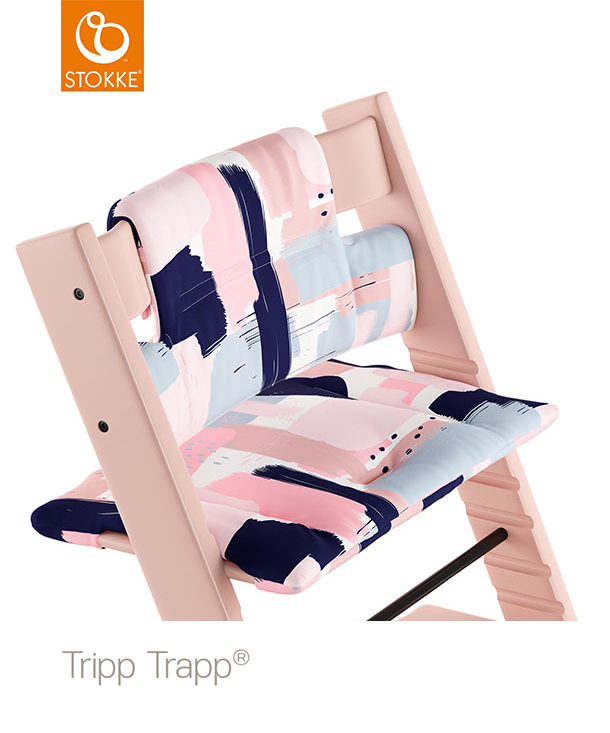 This offer includes a free Stokke tray when bought in conjunction with a Tripp Trapp and Babyset. 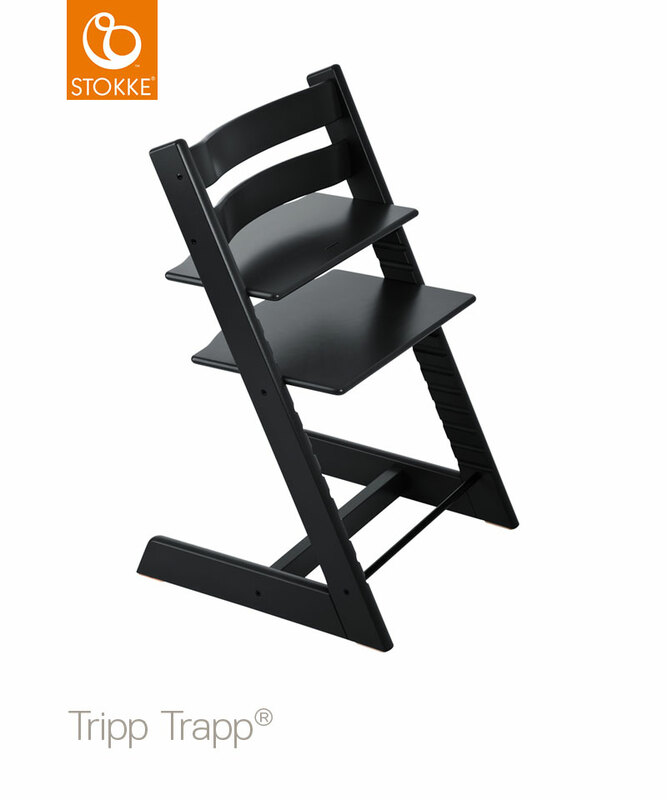 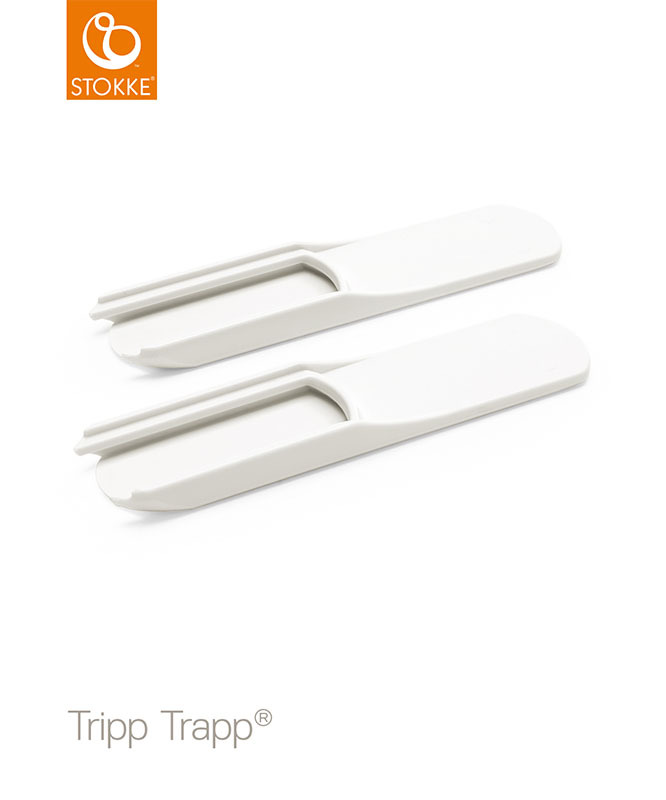 The Best Place To Buy Tripp Trapp®? 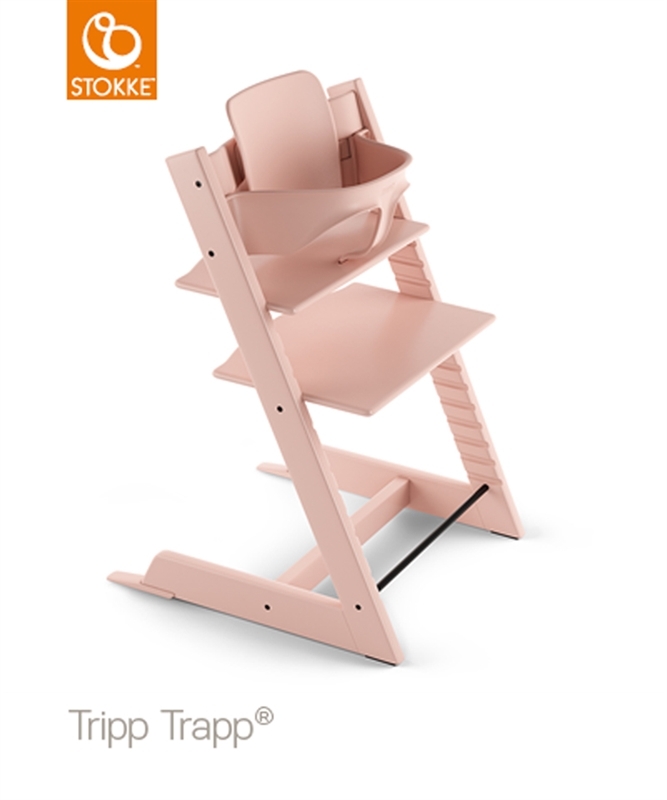 We’ve safely delivered 100,000 Stokke® Tripp Trapp ® Highchairs to thrilled parents. 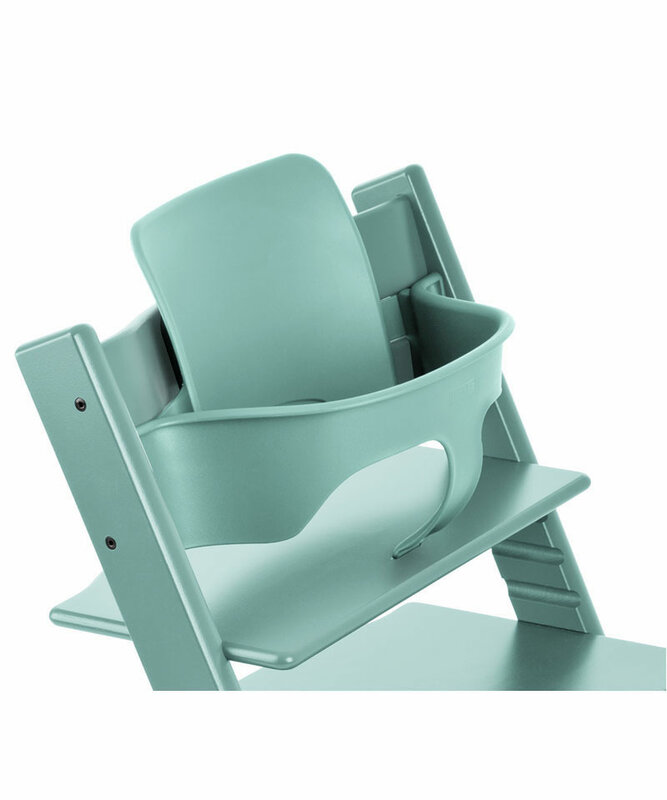 Our pricing is great, delivery FREE, and we really know how to fit the chair to your child. 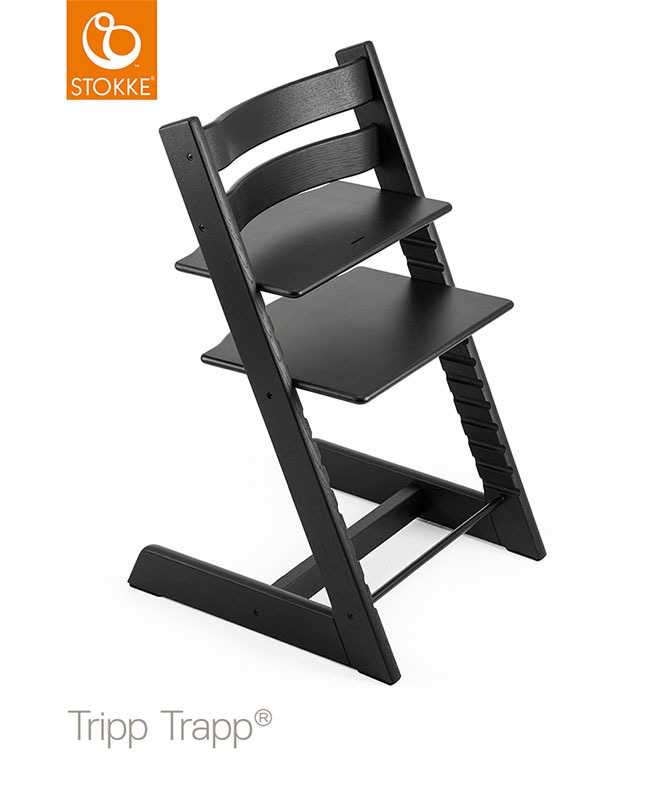 The Tripp Trapp® high chair can actually fit your child from birth to teens. 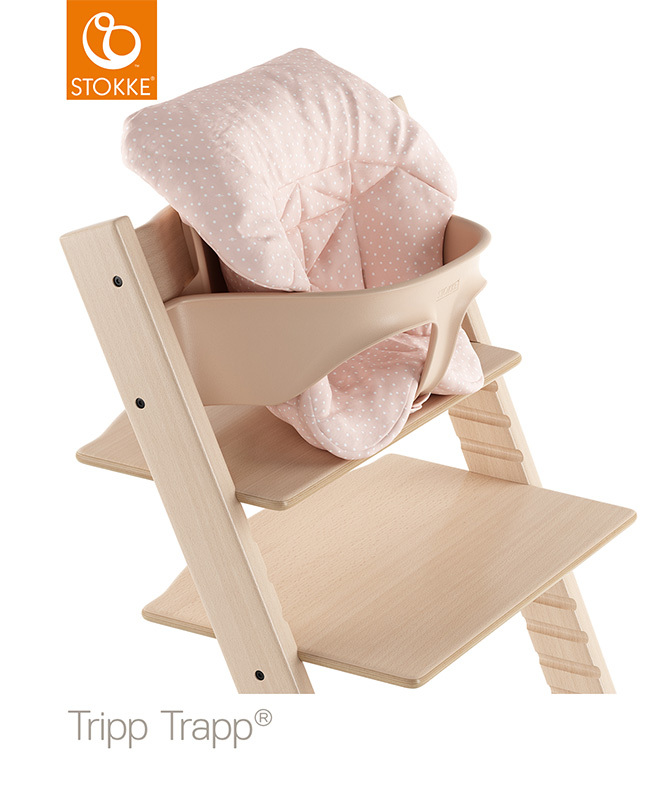 Just add a Tripp Trapp® Chair chair to the basket then add a Baby Set and/or Newborn ( if your child is under 18months). 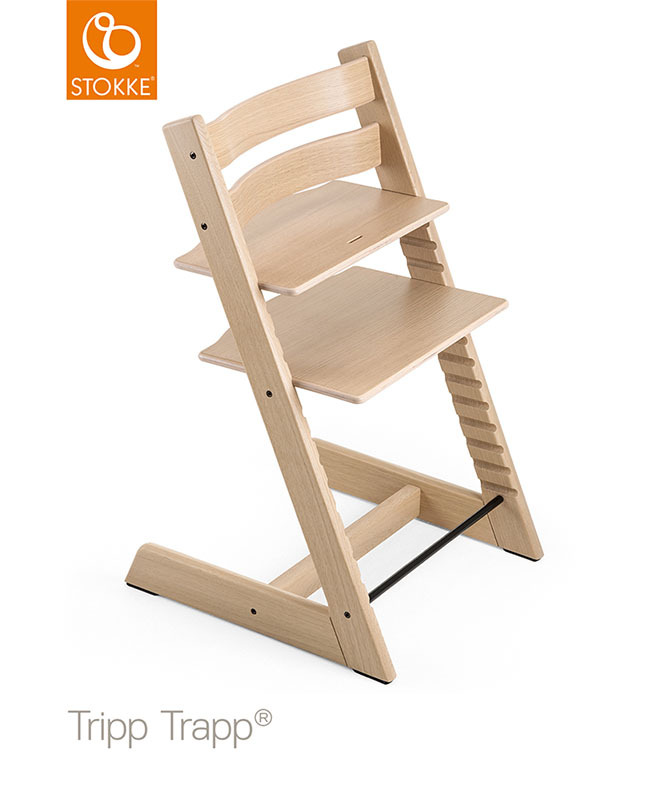 NB The basket will reduce the total Tripp Trapp price to match our best package deal. 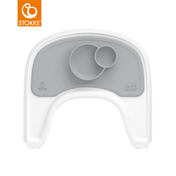 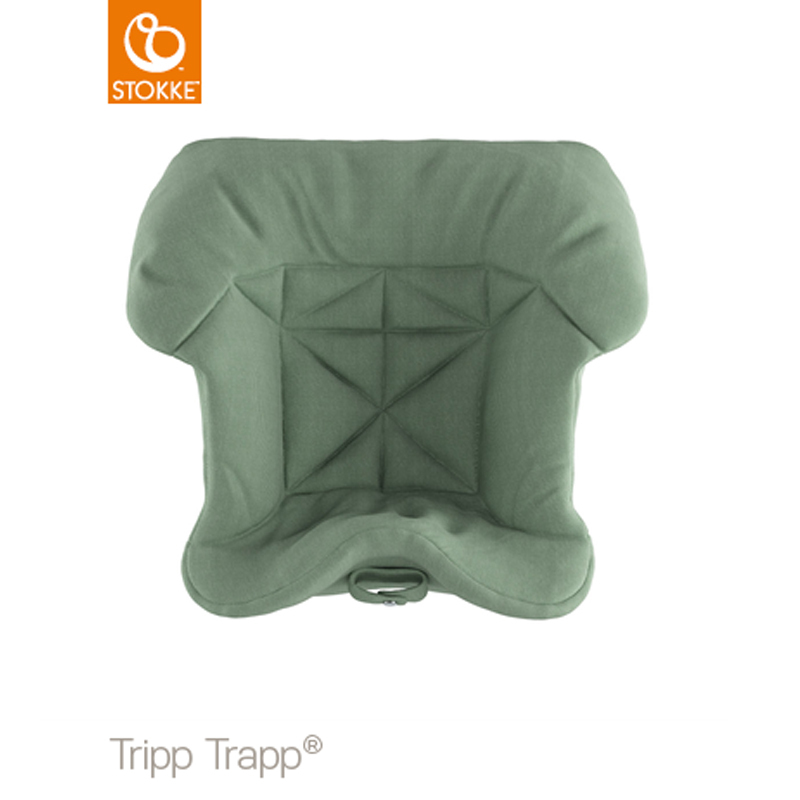 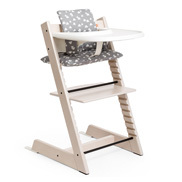 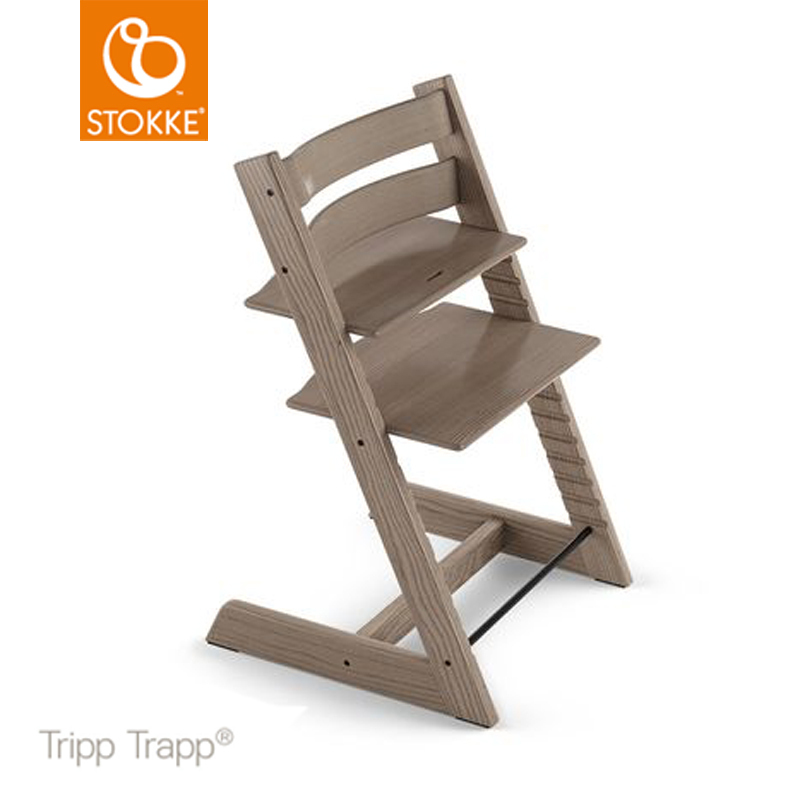 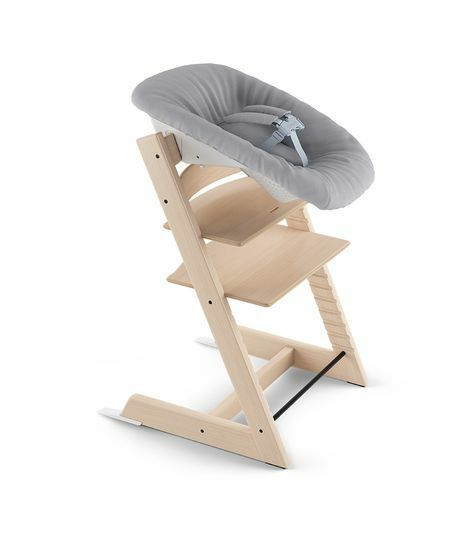 Warranty: The Stokke Tripp Trapp comes with a 7 years (when registered with Stokke). Looking for a Trapp Trapp package? 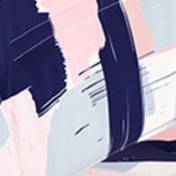 Check out our packages page, or simply add items to your basket from this page and we'll automatically match the lowest package price we have. 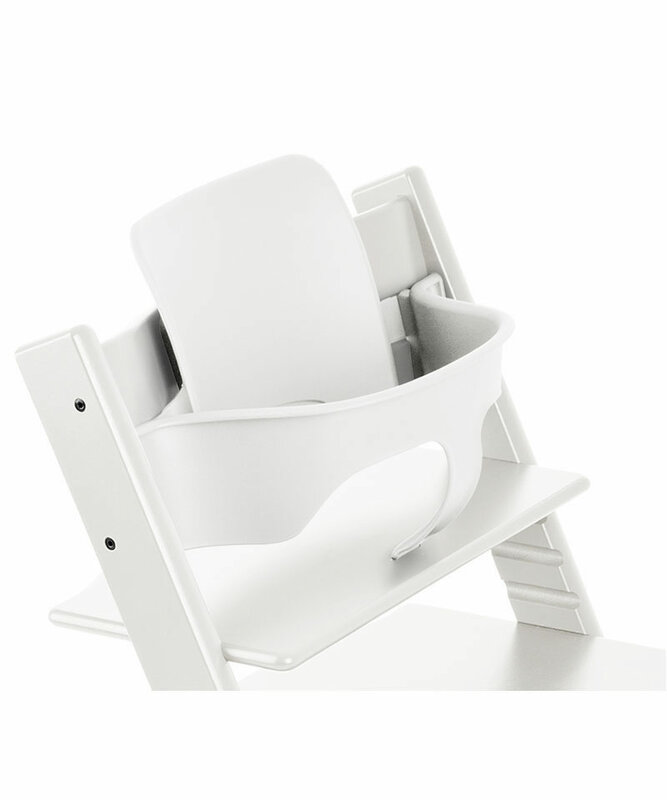 The Baby Set ™ consists of a high, easy clean backrest and front baby rail. In our opinion, this converts the Tripp Trapp ® into the best high chair in the world. 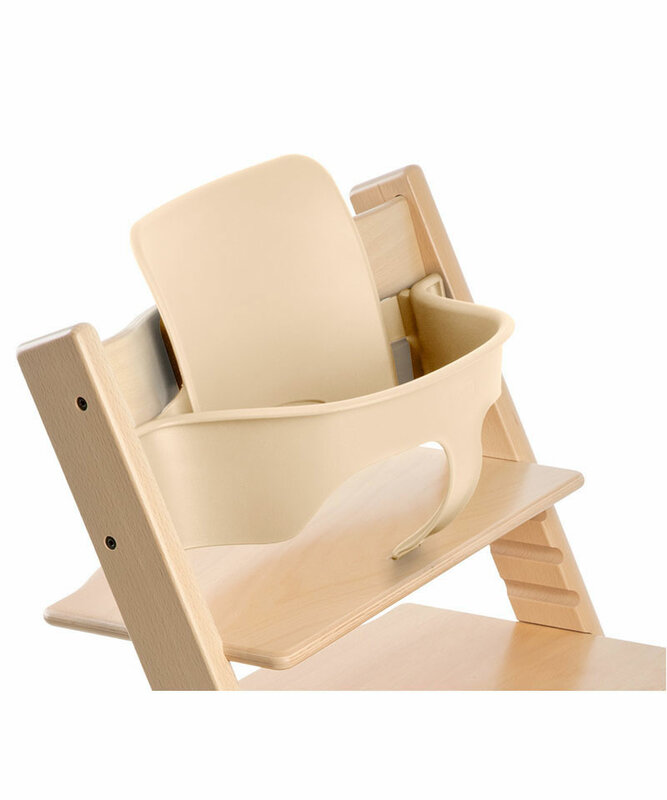 It should be used for babies from 6 months up to about 14-18 months of age. 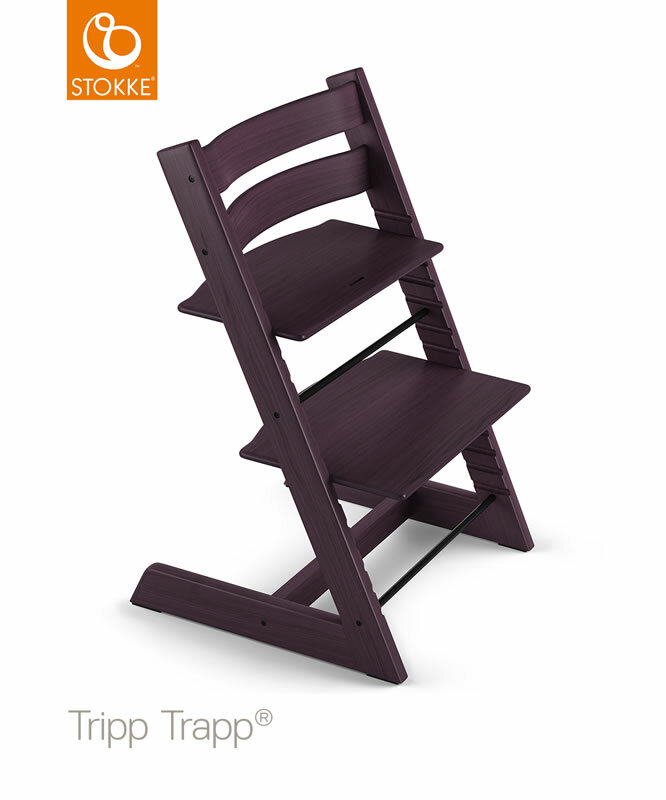 It's available in all the same colours as the Tripp Trapp ®, so you can choose one to match or contrast with your chair. 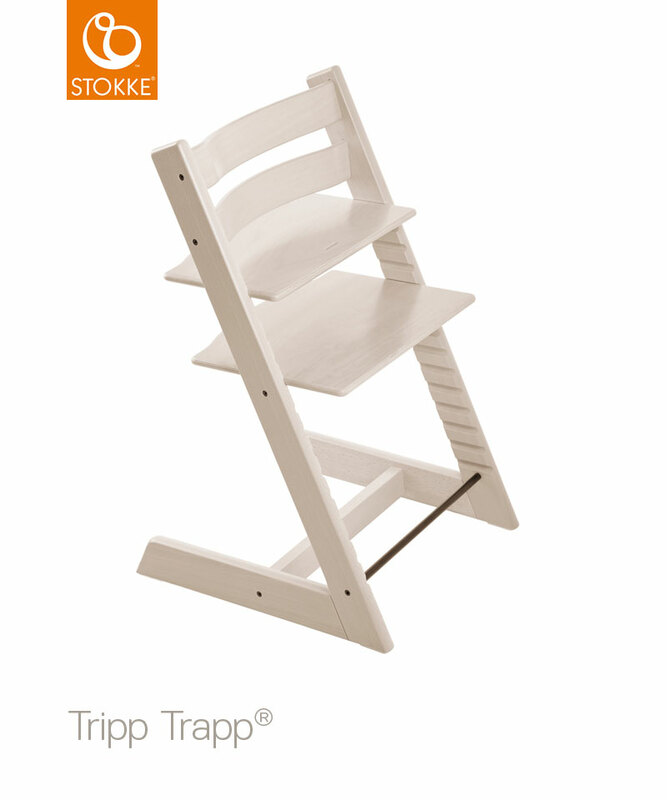 If you are looking for a babyset to match the Whitewash Tripp Trapp ®, please select the White babyset. If your Tripp Trapp was purchased prior to 2003, the current Baby Sets will not fit. 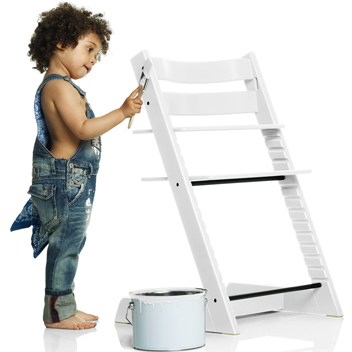 To check; measure the distance between the two back rails at the point that they meet the legs. 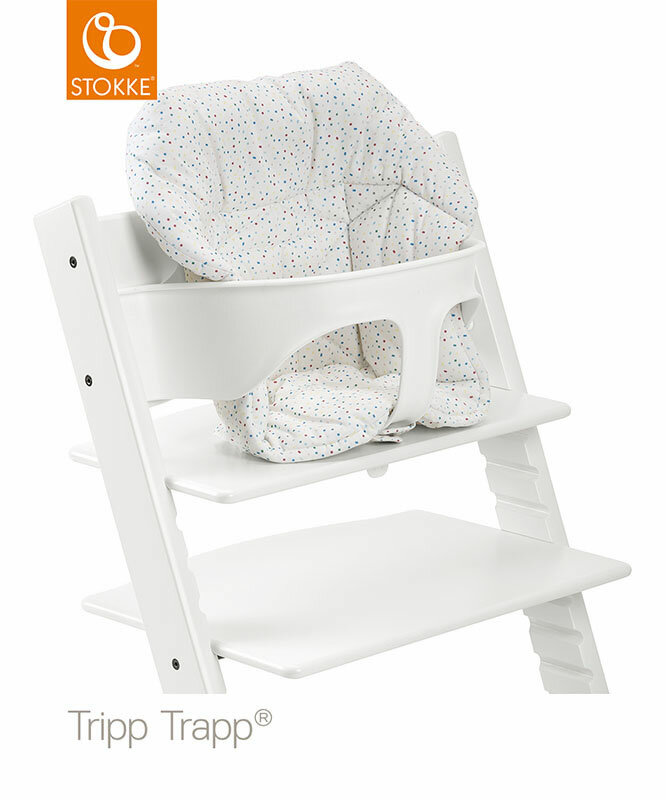 If the distance is 1 inch the Tripp Trapp is pre-2003 and the current Baby Set will not fit your Tripp Trapp. 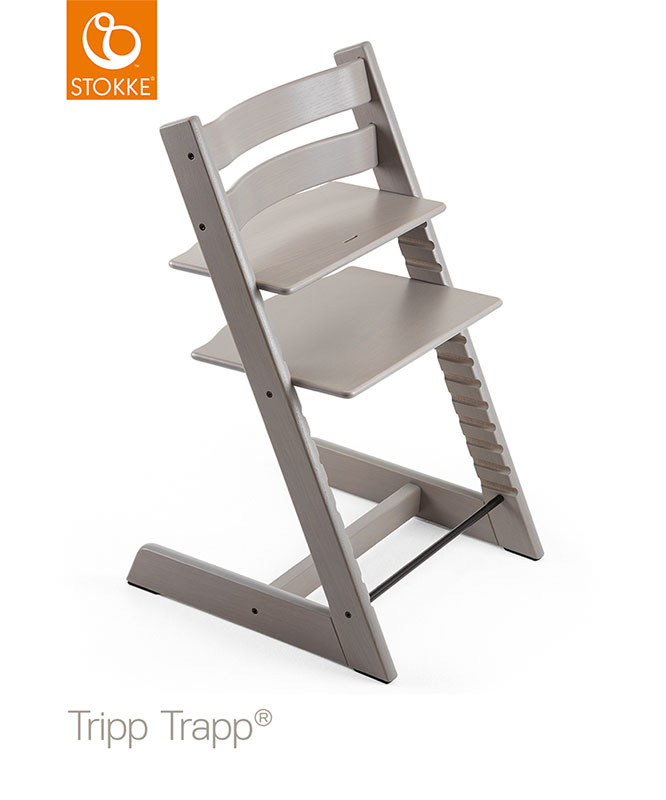 If the distance is 1 1/2 inches the Tripp Trapp is post-2003 and the current Baby Set will fit your Tripp Trapp. 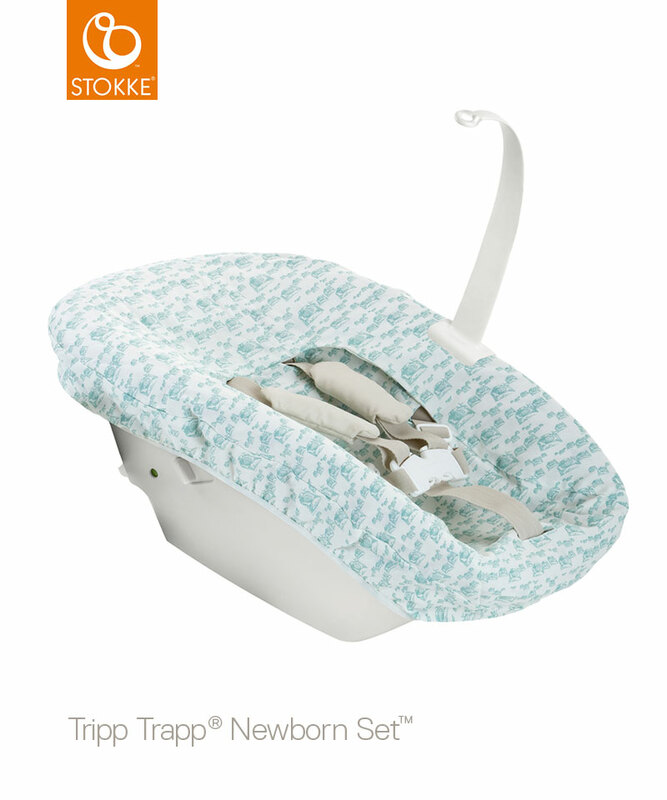 The pre-2003 Baby Sets are no longer available. 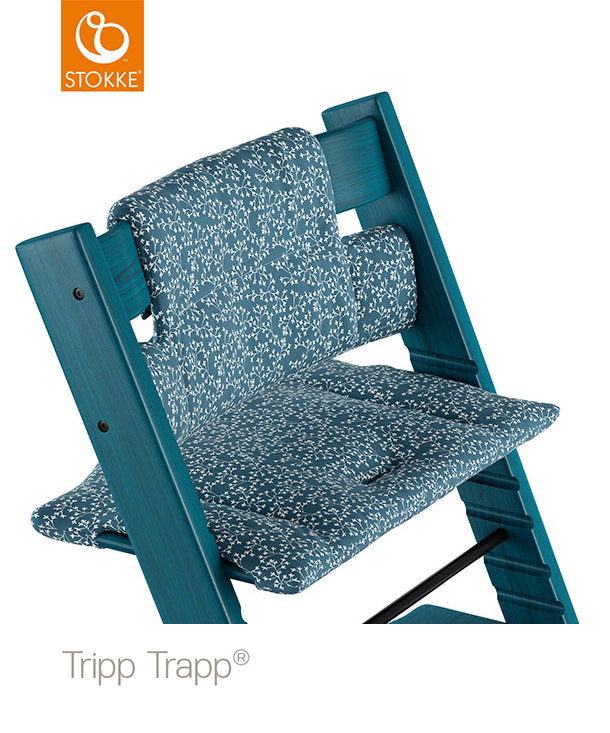 You can personalise your Tripp Trapp ® by adding cushions. 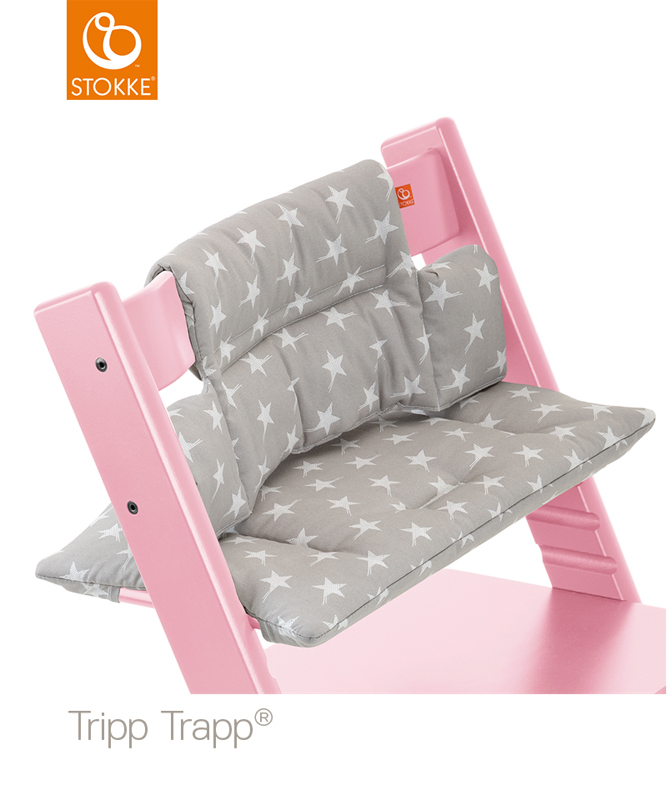 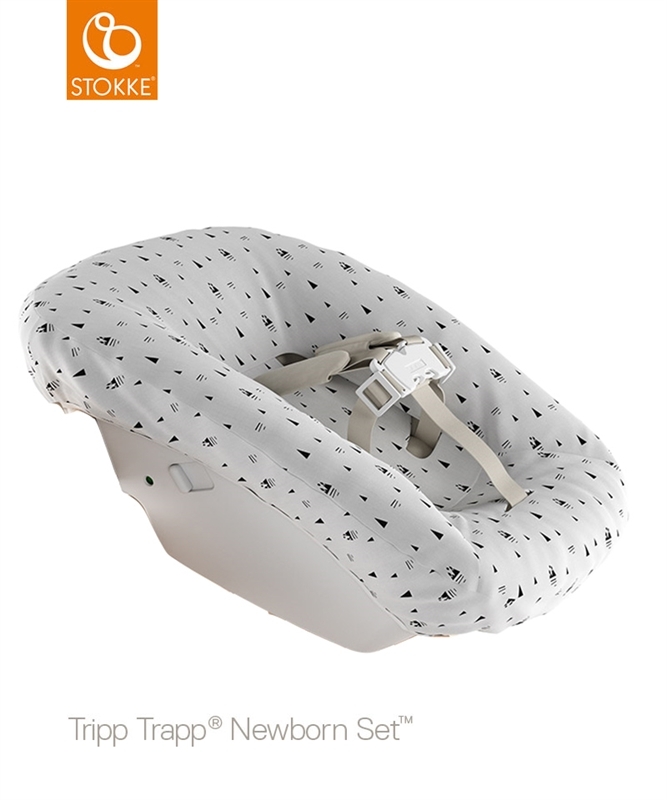 These cushions will fit the Tripp Trapp ® with or without the Babyset™ conversion. 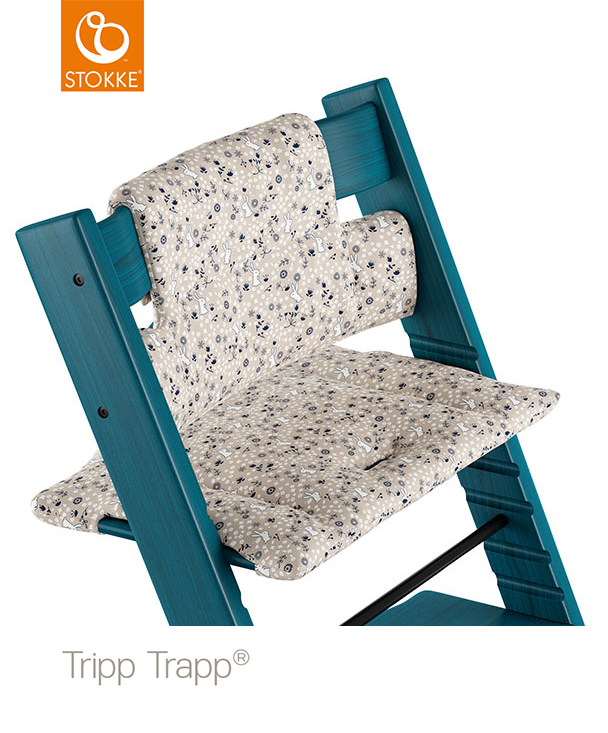 You can personalise your Tripp Trapp ® by adding cushions. 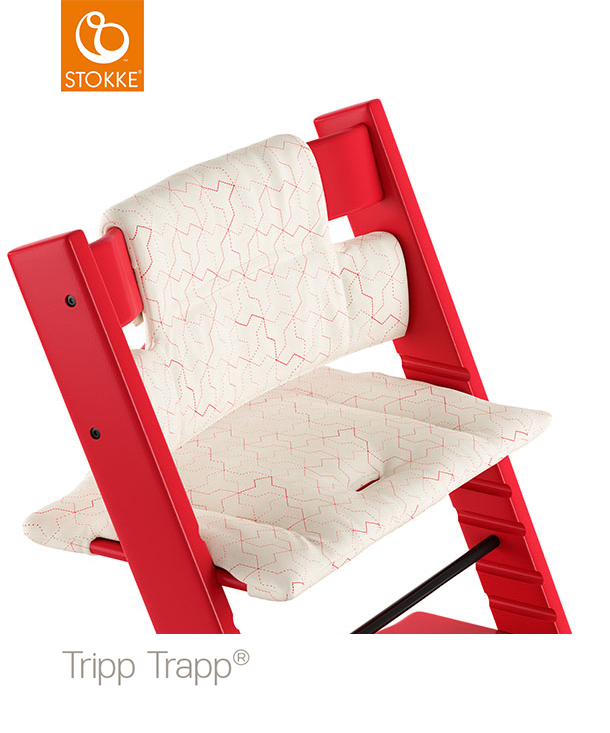 These cushions will only fit the Tripp Trapp ® with the Babyset™ conversion. 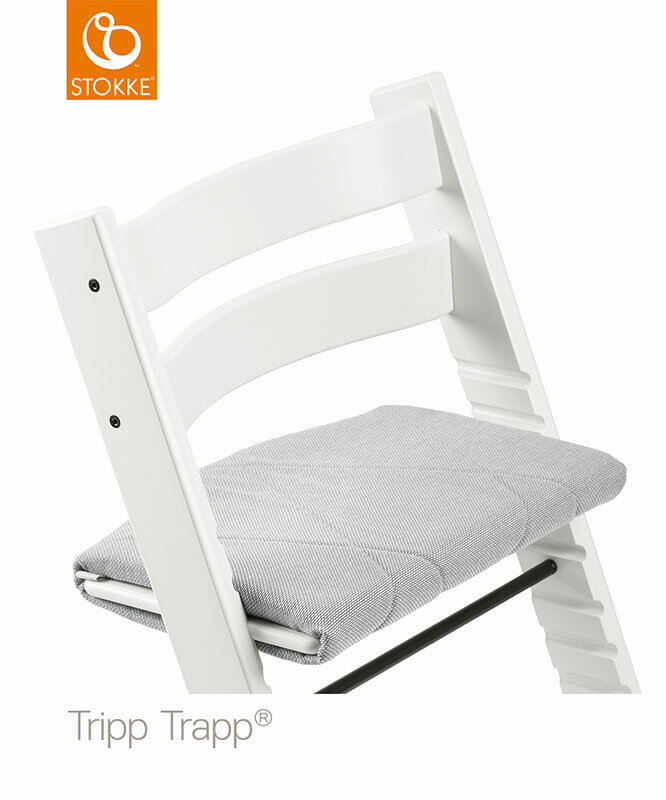 You can personalise your Tripp Trapp ® by adding cushions. These cushions wrap around the seat plate after the Babyset ™ conversion has been removed. Style is important but not as much as your child's safety you'll agree. Stokke ® have redefined the safety harness to be both safe AND stylish. This harness is made especially for the Tripp Trapp ®, and includes D-ring harness attachments to fit the chair without damage. 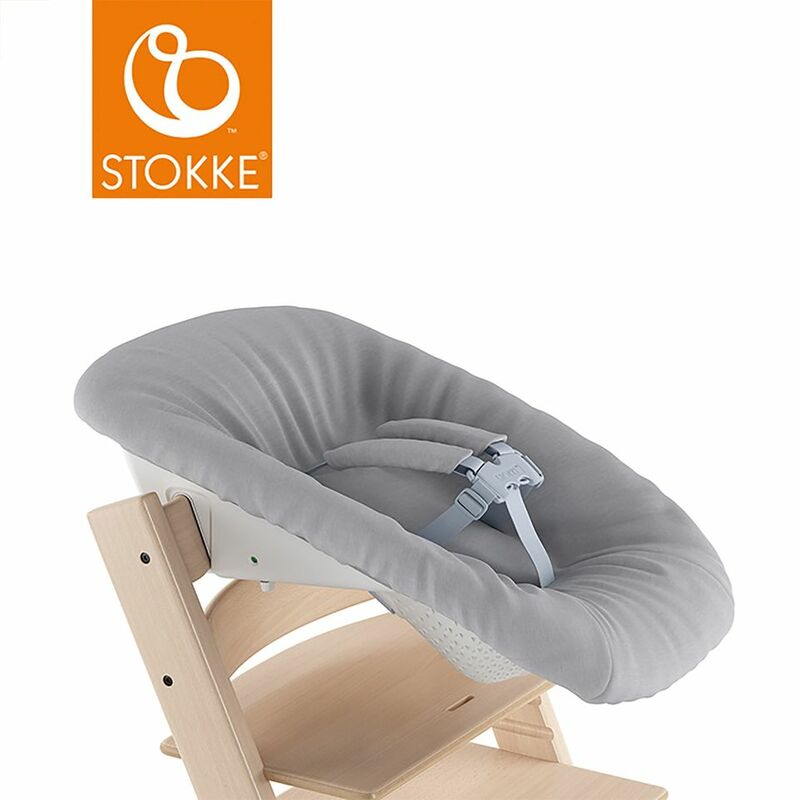 The harness prevents your child climbing from the chair while it is set up as a high chair and Stokke ® have built in several good features: The harness is clipped and unclipped from the front, making it easier to place a child in and out of the high chair and also means the child doesn't have to lean back against a bulky clip. 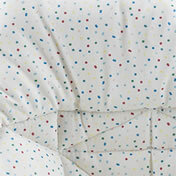 Top Tip: Extra safety: a young child covers everything around it in porridge etc. 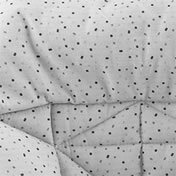 given half a chance ... 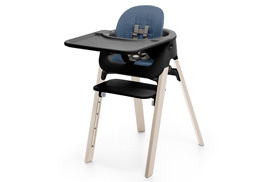 So if you can afford it please get two harnesses so you can have one in the wash while your child is still safe. 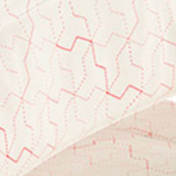 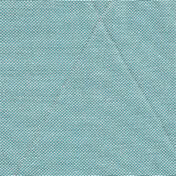 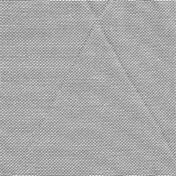 Add a second textiles set for use while the other is being washed. 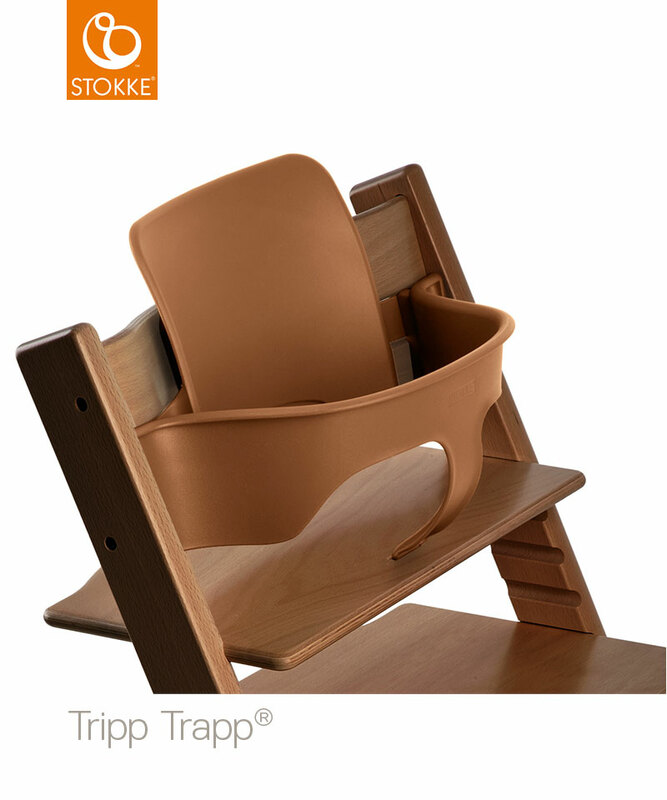 The Tripp Trapp chair is designed to fit right into your table, bringing your baby into the heart of your family. 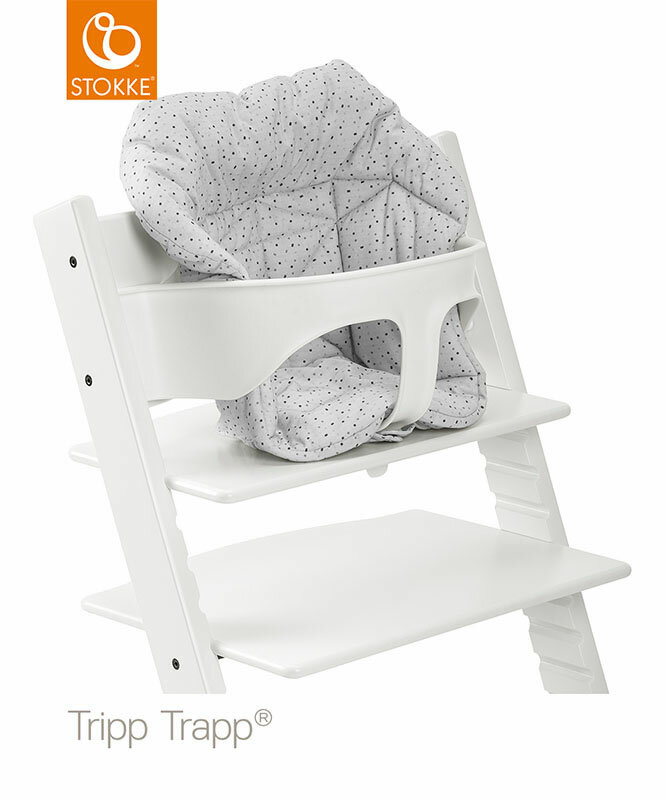 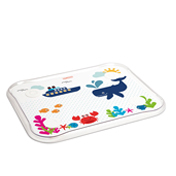 However, for certain occasions a tray that fits with Tripp Trapp Baby Set can be a valuable accessory. 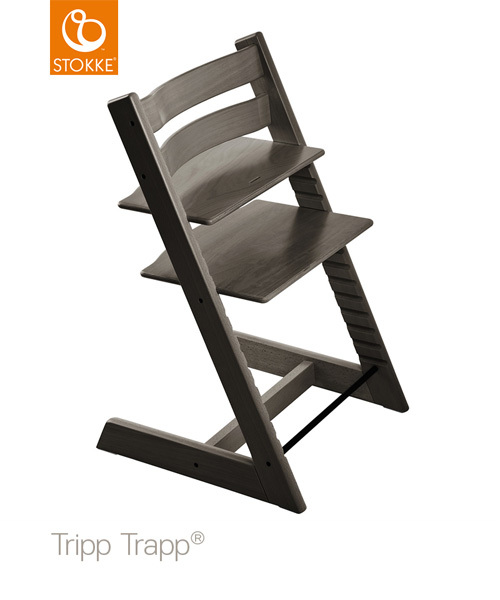 The Tripp Trapp extended gliders attach to the feet at the back of the Tripp Trapp to give added stability. 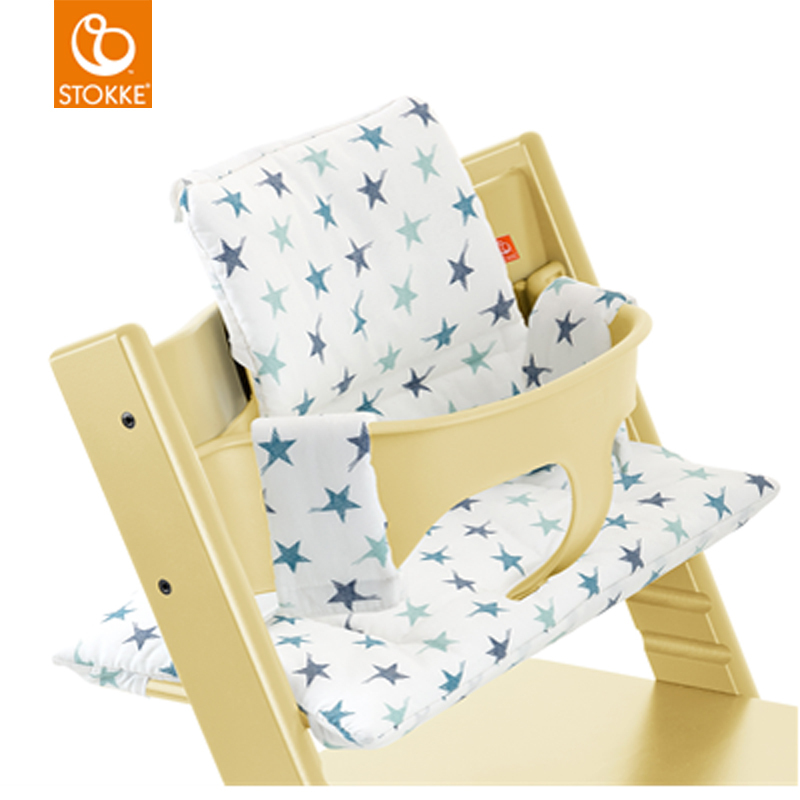 These are included with the Babyset and Newborn; but should you need them, we have spares. 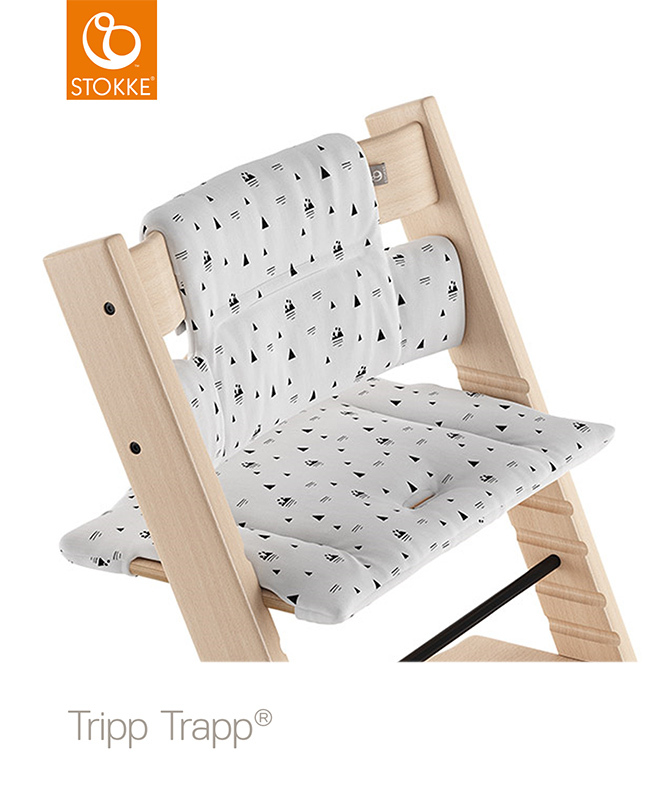 Fits Tripp Trapps since 2013. 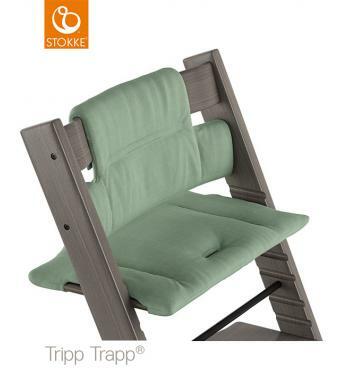 If the Tripp Trapp has black feet the New Gliders will fit. 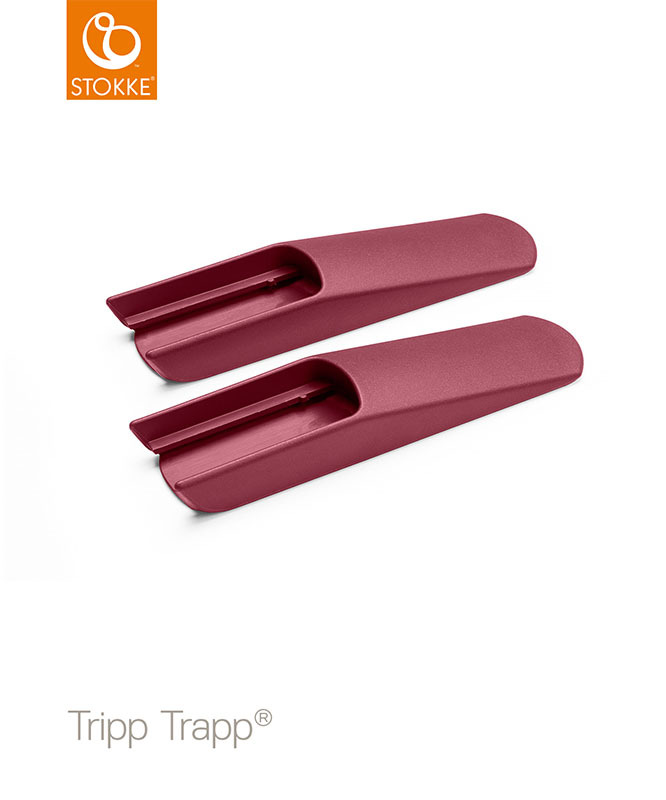 NB: The extended gliders changed in 2013, which means the new style gliders will not fit Tripp Trapps purchased before the change. To determine if you require the New Style or Original Style extended gliders; simply check the colour of the feet on the Tripp Trapp. 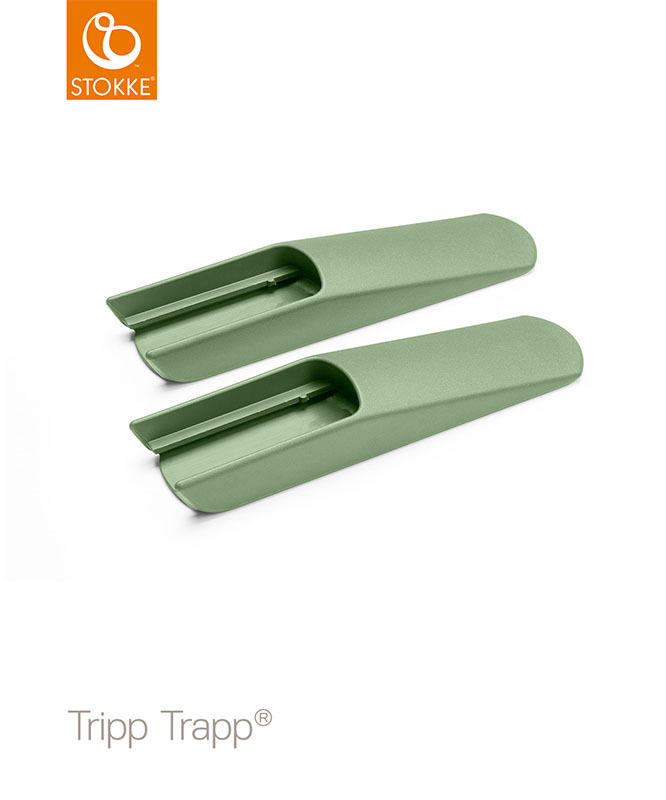 Contact us if you require the Original Style extended gliders. D-Rings are used to attach the harness securely to the Tripp Trapp ®. 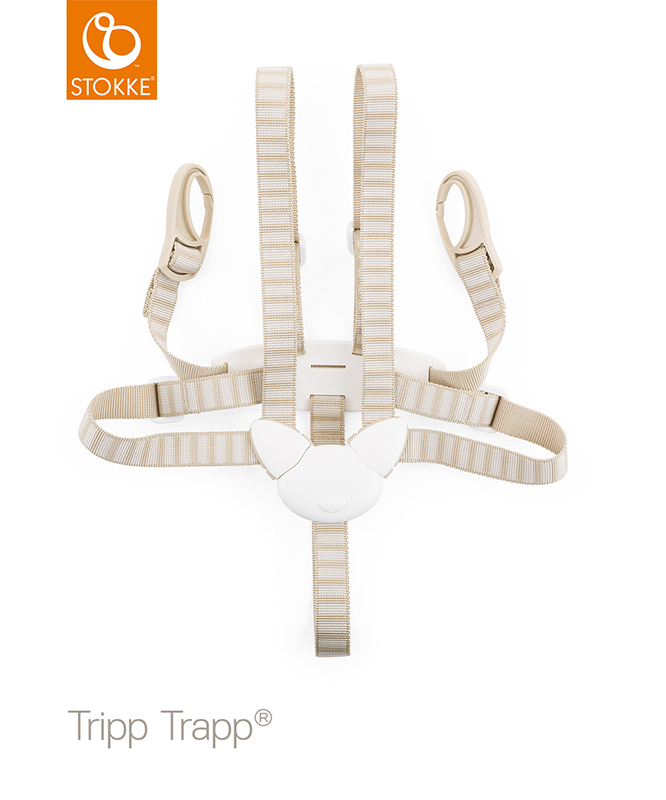 They come as standard with the Tripp Trapp ® Harness, but should you lose them we have spares. These come as a pair. 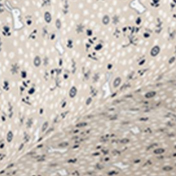 Place a tick in the box below, and click 'submit'. I have seen the Tripp Trapp® video and understood the instructions.